Investors have been a bit wary about putting their money in blockchain–based digital currencies. First, there was the Chinese crackdown and regulation of the digital currencies bringing down the value of the coins. And now, the US Commodity Futures Training Commission (CFTC) has launched an investigation into what happened on June 21st, 2017 with the cryptocurrency Ethereum. 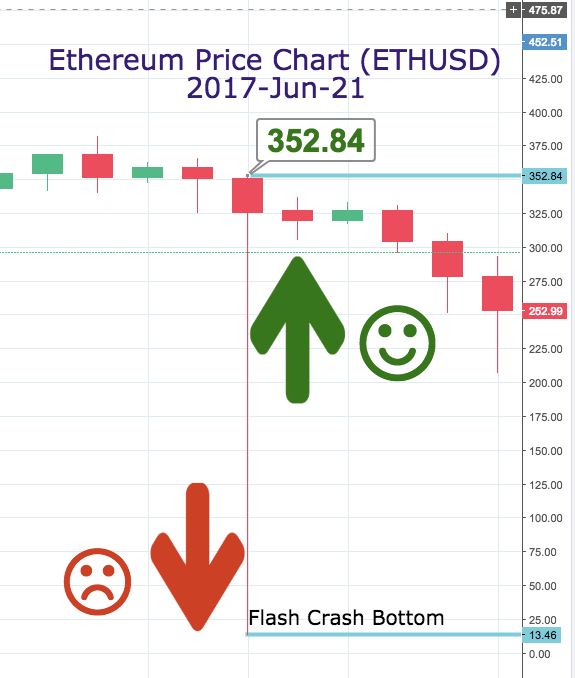 Before June 21st, 2017, traders of Ethereum had a healthy market value on the cryptocurrency. Each unit of the altcoin was going for about $365 on the Coinbase-operated trade market GDAX. It was business as usual for the investors who leveraged their virtual coins to make bigger deals on Coinbase in a process called role margin trading. However, on that day, a flash market dump of $12.5 million worth of Ethereum saw the cryptocurrency drop from its over $300 price tag to just 10 cents per unit in milliseconds, only to bounce back soon after. Just over three months after the June surprise pump-and-dump, the cause of the blockchain–based digital coin Ethereum flash crash remains unknown. According to sources who spoke to Bloomberg, the CFTC has started paying more attention to what may have been behind the mass dump. The sources, who gave their statements anonymously, confirmed that the CFTC was looking into the possibility that leveraging may have enabled the crash. The feature, which allows Coinbase owners to trade with more virtual coins than they have and uses their existing ones as collateral, has since been suspended. Ethereum has since bounced back from the flash crash, and will most likely remain a strong digital currency even with the CFTC investigation underway. Save for Bitcoin, Ethereum is the most valuable digital currency in the market today. June’s mishap hasn’t changed that fact.